I went to the Accessorize sale on Wednesday and got a couple of things. I really love all their pretty jewellery but sometimes find it a bit overpriced which is why I love the sale! 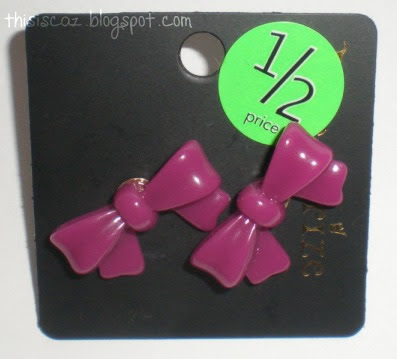 The sale section was a bit of a mess and it was difficult to find anything but I managed to find a cute pair of purple bow earrings that were £1.50. 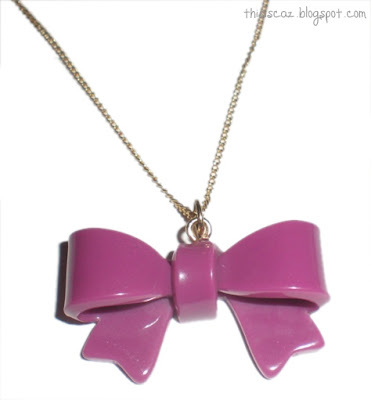 I also found the matching necklace which was £2. 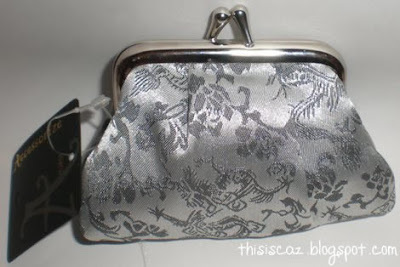 I love Oriental Print Patterns and have some really tiny purses that I love but they're too small to fit cards and notes in. I saw this purse and I really liked it as it's the perfect size to fit my money and cards in but also fit in a small bag. It was £2.50 instead of £5 and came in silver or gold. Have you found anything good in the Accessorize sale? Thank yoouu for this post! Cute earrings, I love Accessorize sales! Love the neclace and earrings, their so cute !